GABBEH is an interesting type of carpet. It has extremely simple pattern and all have geometric pattern. Some newer GABBEH have more details such as birds, and human in the pattern. GABBEH was getting very popular in 80&apos;s in Europe and now since the lifting of embargo, you find them in the US Market also. The majorty of GABBEH have simple plain format with one or two small animal on their pattern. The world GABBEH means "unclipped". 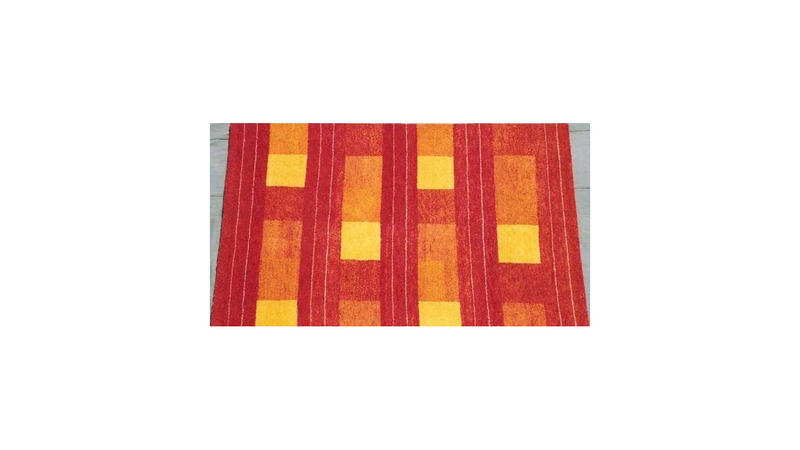 GABBEH distinct style of weaving is especially suitable for modern, or contemporary settings. The quality of GABBEH are excellent. They are extremely durable. You have to be careful that the mimic Pakistani, Indian, Chines or Turkish ones do not carry the same quality.